Jazzmyn Barbosa recently received her MFA from Michigan State University and works primarily in the spaces of printmaking and collage. Her work utilizes found imagery that inundates her daily life that she collects from the web and various sources of print media. Jazzmyn just started working in Member Services at Art Gym and is excited to be living in Denver again and ready to start screen printing! Randy Burns discovered metalsmithing in high school. Since then, he has practiced his craft in Japan, Europe, and in several states in the U.S, including Oregon where he ran his own jewelry business while studying for an MFA. He directed the Jewelry & Metals program at Arapahoe Community College for over 20 years, and has been Art Gym’s area steward after recently retiring from ACC. Randy describes Art Gym as a non-competitive, non-threatening environment that is a welcoming space to create in outside of his home studio. Each piece he designs combines personal artistic expression with all the technical and practical requirements of the gold and silversmith’s craft. His work can be found at Culture Clash Gallery in Salida, CO, and at Art Gym. He has also participated in many group shows with the Colorado Metalsmithing Association. Tyler was appointed Membership Director in January 2017 and became the Director of Operations in March of 2018 . He received a BA in Art History from Colorado State University and brings to Art Gym an extensive background in the arts and arts administration, having worked at the Art Students League of Denver for 17 years as a Membership Coordinator, Gallery Coordinator, Program Coordinator, and finally as Director of Operations. Tyler is excited to be part of helping Art Gym grow. “I believe Art Gym is an important resource that is greatly needed in Denver and I feel lucky to be part of the team that will continue to build upon this resource and help facilitate artists reach their potential.” Anytime you need assistance or have questions, feel free to reach out and give him a call, e-mail, or stop by his desk. He is happy to assist in any way he can! 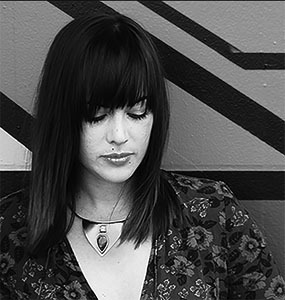 Kim is originally from Ohio and moved to Colorado for the vibrant music scene and culture. When she’s not working at Art Gym Cafe she loves to spend time with her baby girl. 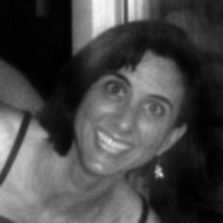 She is excited to restart her old passion of stained glass and acrylic painting and is an avid tarot reader. She hopes everyone will see her background in Interior Design reflective in the new creative menu and presentation of the cafe, and will be continuing to make new exciting changes here at Art Gym Cafe while she is our new cafe manager! Erynn was born and raised in Las Cruces, NM and moved to Denver in 2016. She got her BFA in Graphic Design + Photography and loves everything related to both. She also interns as a wedding photographer, hoping to eventually pursue freelance photography full-time. In her spare time she loves making tortillas, Sci-Fi, medical dramas, watching stand-up, buying plants and hanging out with her adorable, sassy Chihuahua. Born and raised in Germany, Elke has lived in Spain, Thailand, Japan, Hong Kong and New York, but for the past 20 years has happily made her home in Colorado. Elke began her career as a fabric designer in Germany and Spain. She then moved to Hong Kong where she worked as a designer and sales manager for a major European import company and later as merchandise manager for May Department Stores. While in Asia, she also learned the art of designing, dyeing and weaving kimonos in Japan and was trained in traditional Thai textile design in Thailand. After some years in New York, Elke has since made her home in Colorado. She discovered her passion for curating after participating in a group show at 910arts gallery, then curating shows for that same gallery. She enjoyed helping other artists show their work so much that she formed her own company, Art D’Elke, with marketing expert Denise Robert, and began producing art shows and sales in galleries, artists’ studios and other venues throughout Colorado. Elke continues to pursue her passion to help artists show their work at its best by curating monthly exhibitions at Art Gym that showcase artists from Colorado and all over the country. She also continues to use her background as a designer to create vibrant abstract paintings. From a multi-dimensional family of painters, musicians, builders, and pencil artists, I’ve been a student of creativity from birth. Art was always my biggest interest, and I paid a lot of attention to design… of any type. After an intense emotional experience, I began to play with metal and stones in an attempt to heal and cope with what I was going through. I had never attempted to make jewelry before, and had never imagined it would become my life’s passion. As a self-taught artist, it has been a challenging journey to be able to create all of the images that float through my head. My insatiable desire to learn more, create more, and focus my spirit, has given me the courage to experiment with the materials I love in any possible way I can in order to turn my emotions and my expression into something tangible and beautiful. Metalsmithing has been a huge step in my creativity, and sparks my mind, my heart, and inspiration every day. The work that comes through me embodies the transformations of our human experiences and is raw, uninhibited, energetic, fierce, and graceful. Greg moved to Denver on New Year’s Eve, 2015 after a lifetime in New York City, where he kayaked the Hudson River and received two degrees and one certificate in printmaking. Soon after arriving, he joined Art Gym as Director of Printmaking and spent many months designing and equipping the printmaking workspace. Greg describes his art an outlet to explore emotional and physical relationships, as well as the relationships between memories and locations. As a space to create, he says Art Gym offers “the exact combination of affordability and varied print process accessibility” that a printmaker needs. Among his artistic influences he includes Joseph Albers, Jennifer Bartlett, Donald Judd, Frank Stella, Kenneth Noland, Ellsworth Kelly, and Peter Halley. Brady is a Colorado native who left the state for schooling and is thrilled to be back in the Denver area. He received a BFA in 2-D studies with an emphasis in Printmaking from BYU – Idaho, and then went on to earn an MA in Contemporary Art from Sotheby’s Institute of Art – London. He is still a practicing artist, focusing most of his work on still lifes and portraits in painting and printmaking. His career has taken Brady to a variety of avenues in the creative fields including gallery assistant, wedding invitation designer, art restorer, and most recently working in the marketing world. He is very excited to combine the experiences he has gained to help improve the awareness and outreach of Art Gym to the art community in Denver and beyond. Vickie is a long-time Colorado resident who has made her living as a graphic designer. As a life-long artist, Vickie is passionate about enabling artists to create. In 2011, she was given the opportunity to establish an affordable, community-oriented art making space to support emerging and seasoned artists. After a few years of planning and major renovations to an old Safeway building in Denver’s Mayfair neighborhood, Art Gym opened in 2015. As a graphic designer, Vickie spent more than 40 years telling the stories of many businesses, non-profits, and colleges/universities. Now, she is making her own art at Art Gym, exploring lithography, artist’s books, figure studies, and most recently metalsmithing/lapidary. Lapidary, she says, opened her world to the great color and wonderful randomness of rocks. Their story is the one she is now telling. Louis Trujillo is a Colorado based artist who received his Bachelor of Fine Arts degree at Metropolitan State University of Denver. His main focus is the creation of sculptures that hang on walls and suspend from ceilings. His artwork explores themes that include the sublime, spirituality, and psychoanalysis. His current work focuses on the creation of large scale installations made of polymer clay painted with acrylic. Smaller elements come together to create larger entities that flow through the air with shadows that dance on the walls. The metamorphosis and the evolution of every element in the universe is the underlying influence. He is currently a member of Sync Gallery where his artwork is on display year round. 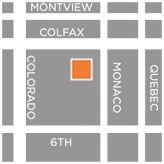 Sync Gallery is located in Denver’s Art District on Santa Fe in Colorado. 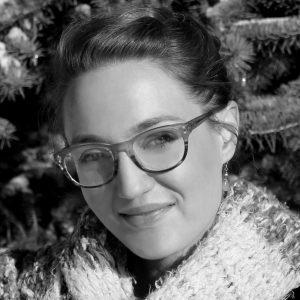 Katie is a Denver based artist and social worker. At Regis University, she became interested in Pop Art and mixed media collage. By incorporating trash and found objects in her art, she aims to re-purpose and create something beautiful and compelling from something that would otherwise be unwanted. In 2017, Katie received Art Gym’s Create Award. This gave Katie the opportunity to expand her collaboration with youth experiencing homelessness in Denver and to continue experimenting with multimedia installations. Currently, Katie is working with Chicago based sound designer, Sarah Espinoza, and Colorado based engineer, Perry Taga, on a body of interactive artwork. Katie loved working with Art Gym as a member and, now, she loves working with Art Gym as a staff member. She is passionate about cultivating community around art and would love to help you any way she can. Growing up in northern Colorado, the daughter of two working artist parents, Robin was immersed in the visual and theatre arts. She graduated from Colorado State University with a BFA in Painting in 2003 and moved to Denver in 2004. 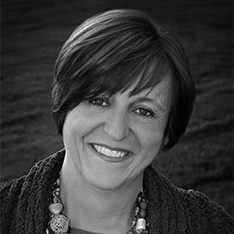 Robin brings a vast arts and arts administration background, having worked for the Art Students League of Denver for nearly 7 years as a Program Coordinator, Gallery Manager, Membership and Volunteer Coordinator, and Registrar. Prior to the Art Students League, Robin worked as a Designer for a wholesale frame shop, and as an Art Consultant for Parker Blake LLC, an art consulting firm in hospitability and hotel. She is also a working independent curator. Most notably, Robin guest curated an exhibit at the Curtis Center for the Arts, Open Space: The Finite Frontier in January 2018. The exhibit was featured in the Denver Post and also included a write-up in Art Beat Magazine. In her spare time, Robin continues to pursue her passion as a working artist from her at-home studio. She also has a side creative music project gigging as a DJ duo with her husband around the Denver metro area.